European solar project developer Wirsol Energy have an Australian arm known as Bright Acre Energy. The company has been working on a $500m IPO of their Aussie solar portfolio, but news is thin on the ground lately. Let’s take a look at what to expect from BAE in 2019. Bright Acre Energy have ten projects in various stages of completion, situated in Victoria, New South Wales and Queensland. According to the Australian Financial Review, the projects are set to fully connect to the national power grid by the end of 2019. These five projects will total over 1100MW, which is enough electricity to power 350,000+ houses. The official site names the farms as currently having 397MWp of nameplate capacity, with half of this commercially operational and the other half ‘almost there’. Former Australian rugby union player Bill Calcraft was the CEO last year, and along with Gerard Dover the site has them listed as ‘Proposed Management’ – so not sure what this means for 2019 – and there hasn’t been any specific news on their potential IPO. We’ve reached out to the team and will keep you updated if we find out anything about Bright Acre’s plans for the rest of the year. 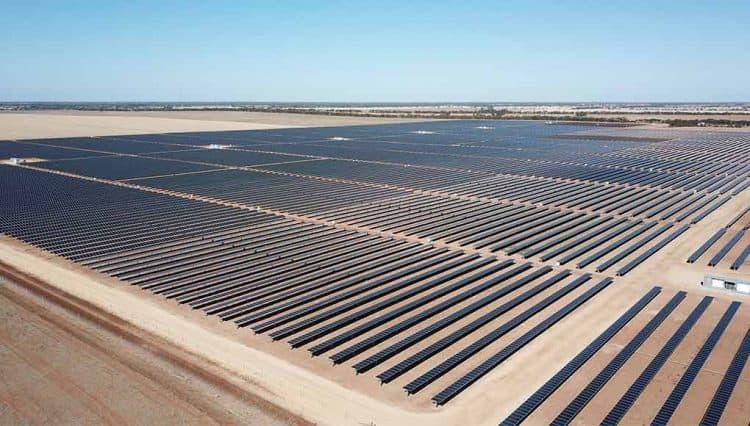 Tailem Bend solar farm reaches financial close.